I don’t know if you this, but Google Earth wasn’t always called as such. It was actually first called EarthViewer 3D and was created by a company called Keyhole, Inc. That first release was in 2001, and it was only in 2004 that Google acquired the smaller company. 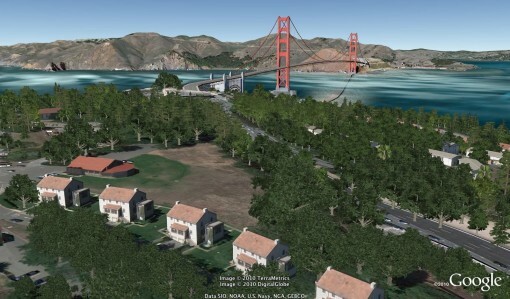 In 2005, Google Earth 3.0 was released, triggering a huge interest in the digital atlas. Yesterday, Google announced the sixth version of the program, highlighting the fact that the Google Earth 6 is more realistic than ever. In the entry posted on the Official Google Blog yesterday, three new things were featured. Basically, with the enhanced Street View, you can “journey from outer space right to your doorstep in one seamless flight.” You can also explore the streets as if you were merely taking a stroll in real life (with your fingers doing the walking, of course). Historical Imagery allowed users of Google Earth 5 to take a stroll down memory lane when viewing particular location. For example, one can see what Port-au-Prince in Haiti looked like before it got hit by the devastating earthquake. In the latest version of Google Earth, it is even easier for users to go back in time. Whether or not you have plans of trying out Google Earth 6, take a look at the video below to see it in action. To experience this for yourself, visit the Google Earth 6 download page.